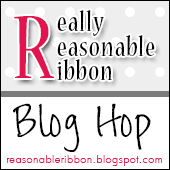 Really Reasonable Ribbon Blog: RRR June Blog Hop Winner! So, about the ice cream question.... A surprising amount of people really like cherry flavors and ice cream with nuts. Who woulda thunk it? And of course there were lots of traditional vanilla lovers. All I know is I LOVE ice cream!! Good old fashioned soft serve vanilla with chocolate sprinkles (or jimmies) for me! Yay! thank you, Bonnie :) I love this pack's colors and can't wait to use them! how fun to hear about everyone's fave ice cream flavors, too! Congrats Leeann...you will love this ribbon....me, too, as I just joined the ribbon club..LOL!